In the final module of this course, our focus is advocacy and activism. Watch a couple videos. One video is a “crash course” on US law about freedom of speech — you might need to watch it more than once to catch everything. I’ll ask you to pick one other video to watch (see below). Additionally, please write two short posts for your blog. One post should discuss your position on freedom of speech. The second should discuss, analyze, or assess the rhetoric and style of the person (or people) in the video you choose. But first! I’m going to tell you the story of a colorful personality, the great Lloyd Bitzer. Actually, he was not a colorful personality, which you will discover if you do an image search. But he was an important figure in the history of the study of rhetoric. Bitzer wrote a famous definition of rhetoric. 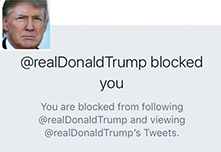 He argued that rhetoric is speaking or writing that seeks to change the world by changing the thoughts or values of an audience. The members of the audience, with their new thoughts or ideas, become the agents for change. So if you want to change the world, that means there must be something wrong with it, right? Exactly. Bitzer theorized that people speak up because they encounter what he called an “exigence” (most people today would say “exigency,” but when you’re the great Lloyd Bitzer I guess you can spell words however you want). An exigence, Bitzer wrote, is “is an imperfection marked by urgency; it is a defect, an obstacle, something waiting to be done, a thing which is other than it should be.” Hang on to this idea — it’ll be important in the coming weeks. We watched this is class, but watch it again: Freedom of Speech. Pick one of the following, depending on your interests. Or watch more than one — they all help us think about the complex relationship between rhetoric (speech or writing that moves people to act) and direct action (such as civil disobedience). Historian/raconteur Utah Phillips and musician Ani DiFranco tell us about the Spokane Free Speech Fight of the early 20th century. This is an audio track that was released on CD in 1999. Comedian George Carlin delivers his notorious “Seven Words You Can’t Say on TV” bit (audio only, from a 1972 recording). The fallout from this monologue went all the way to the US Supreme Court — look it up, Pacifica v. FCC. British person Stephen Fry tells us about civil disobedience, a term coined by the American anti-slavery writer Thoreau in the mid-nineteenth century. Political scientist Erica Chenoweth studies the success rate of nonviolent social movements in a TEDx talk. You can hear from Chenoweth and her co-author Maria Stephan in this NPR piece as well. Civil Rights leader Martin Luther King argues for the right to protest in a speech given the night before his assassination in 1968 (this is a very short excerpt, but you can find the full transcript and audio elsewhere online). If you haven’t seen King’s later speeches, they’re worth watching — like this one. Lastly, would any list be complete without Matt Damon? Advocacy and activism take many forms. This week, we’ll look at the story of Kathryn Bertine, a cyclist, author, and filmmaker who tackled gender disparity in professional cycling. Read an article about Bertine here. We’ll also look at a communication issue that has attracted a lot of attention lately: mansplaining. As public speakers, how can we avoid mansplaining, and how should we respond to it? For class on November 21, read and respond to the story of Bertine and to Solnit’s essay. Identify what are the most important points to you, and discuss an example from your own experience or knowledge. Cover of Eben Weiss’s first book, based on the bikesnobnyc blog. 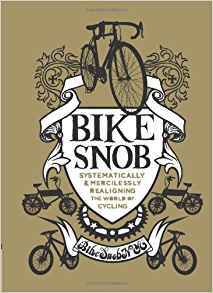 Bikesnobnyc is written by Eben Weiss, who has become America’s foremost (and most ill-tempered) public bicycle intellectual. Read Weiss’s humorous taxonomy of cyclists–when you ride a lot in the city, you start to notice that there are lots of different groups out there. Weiss focuses on people who ride for fun (mainly)– he doesn’t much mention people who ride bikes out of economic necessity. I don’t know if Weiss has launched a public speaking career. If you can find video of Weiss speaking, add a link to it in the comments (below). *There is no Apple bicycle, touted or otherwise. Except in our dreams. 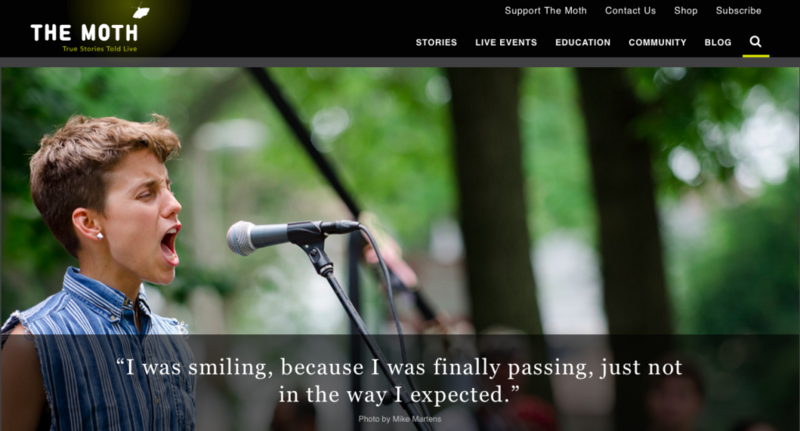 In class on 10/24, I mentioned the New York-based storytelling series The Moth. Here’s a 6-minute story that brings together some of the threads of our discussion last time: how bikes meet up with community and belonging. “The Pink Stallion,” by Malic White. On Wednesday, October 11, I attended a forum on bikeways and homelessness in San Francisco. This forum came about because there have been some conflicts between homeless people camping and bicyclist using bikeways, particularly a network of bike paths under the 101 interchange at Cesar Chavez Blvd. Because city and state agencies have cleared encampments and fenced off spaces under many freeways, campers have moved onto bikeways in some areas. 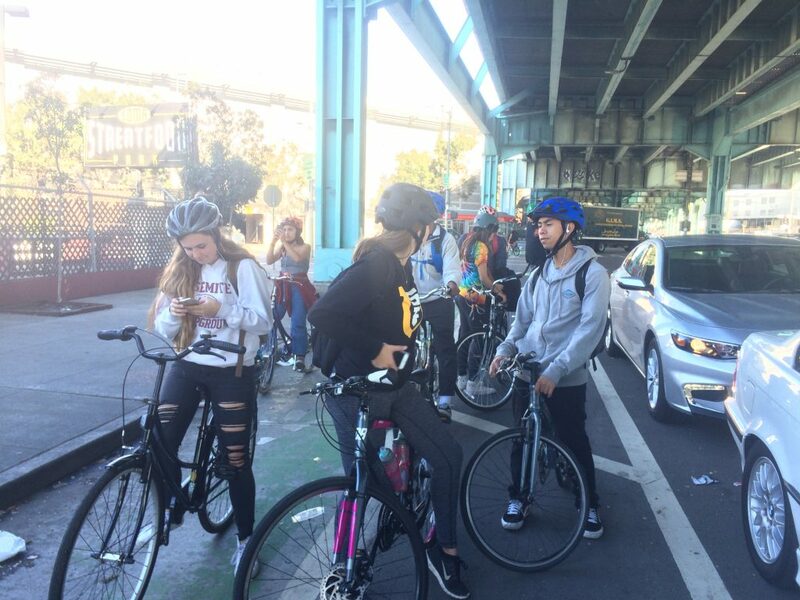 The forum was an attempt by SF Supervisor Hillary Ronen and the San Francisco Bicycle Coalition to educate cyclists about homelessness in San Francisco, and to describe some of the efforts underway to find people housing. About 60 people attended the event, and we heard from Supervisor Ronen, a Bike Coalition person, two homeless advocates, and a representative of Caltrans, the state transportation agency that maintains the 101 freeway. I learned that on any given night in San Francisco, there are about 7500 people experiencing homelessness. This number has been holding pretty steady for the past few years, although there has been a rise in visible tent encampments, like the ones we saw on Division St. during our October 3rd expedition. Speaking of Bicycles students on Division St. under a section of Hwy 100 on October 3rd, 2017. A few panelists speculated about the rise of tent camps in SF. One person observed that many homeless people used to camp in the Mission Bay area (where we visited Dr. Bauer on October 3rd). But all the new construction in that area has led them to try to find other places to camp. Supervisor Ronen outlined her efforts to create “Navigation Centers” — a new kind of shelter where people are treated with greater dignity (for example, you can keep your pets with you) and possessions are more respected and secure. One of these centers has opened near the 101/Chavez interchange. Unfortunately, I had to leave before the end of the panel to get to another event, but it was a great learning experience for me. I feel that I now better understand the reasons for the current situation (as well as solutions underway), and I also have greater empathy for the people experiencing homelessness whom I’ve encountered on bike paths. My cousin Jake at Farolito on Mission St. 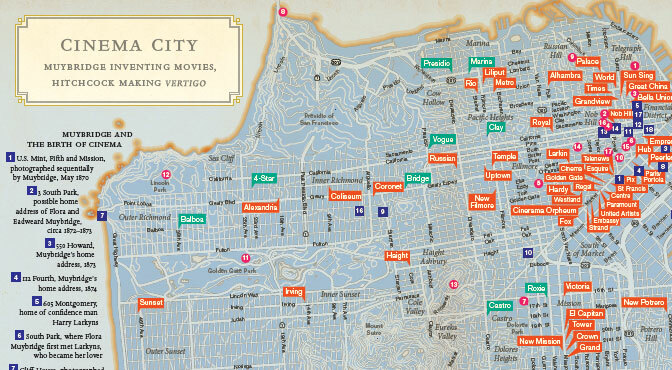 The only thing San Francisco loves more than bikes is burritos. 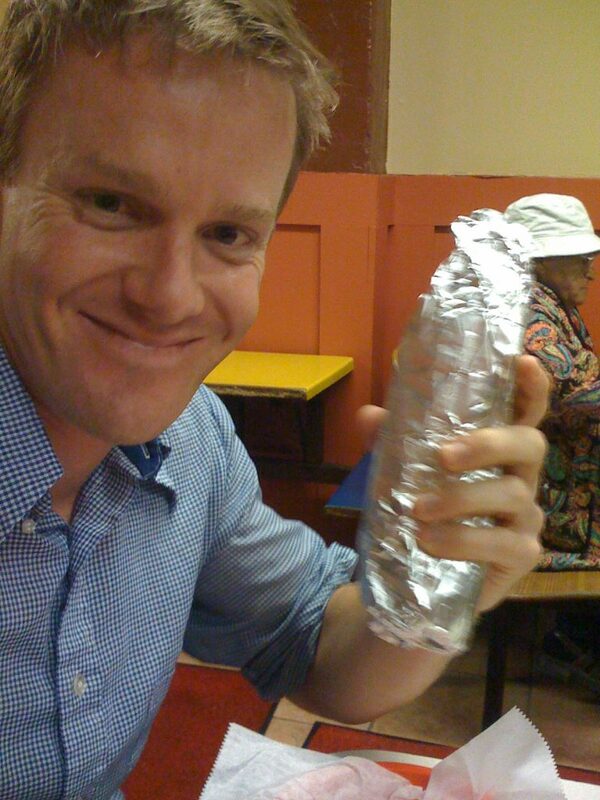 Every last Monday evening of the month, the SF Burrito Project assembles and distributes burritos to people in need. Bicyclist and pedestrians needed to help distribute!